Our Bottle Opener is just as at home at the bar cart in your living room as it is at a rooftop party. An elegant addition to your bar-ware collection yet compact enough to be your every day carry item. It is laser cut locally out of solid quarter inch thick brass and premium quality walnut wood. Every piece of Spencer Collection comes with a strap cut out of 4 oz thick top-grain leather finished with brass rivet and individually packaged. Each material carries an inherent variation in color and texture making every piece unique. 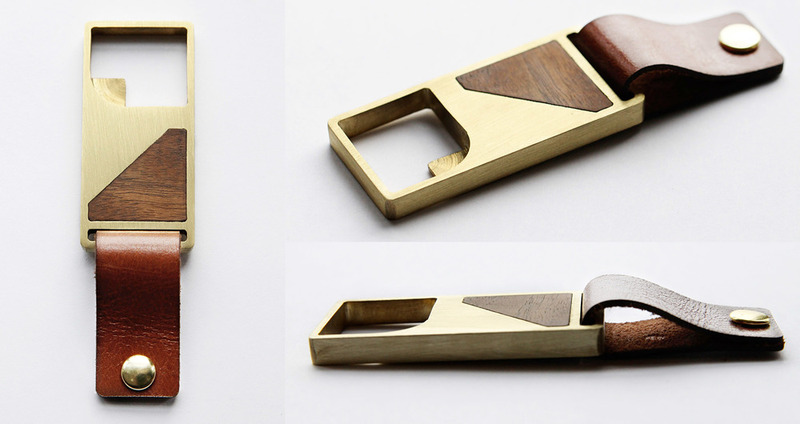 Over time they will develop rich, burnished patina giving the Bottle Opener even more character.